"The strong Swiss franc is a burden for business": A lament voiced by many SMEs (small and medium-sized enterprises) these days. However, there are also companies that handle the crisis pretty well. Stadler Rail is a best practice example. 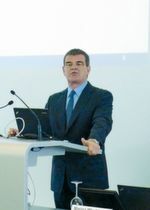 In the last annual balance sheet of Swiss train manufacturer Stadler Rail, the company’s owner and CEO Peter Spuhler had to inform about a profit decline in the amount of approx. 100 million Swiss francs due to the Swiss franc shocks. But Spuhler is not one to lament. Instead, he looked for solutions and found them. Then another currency crisis hit Switzerland in January of 2015. Spuhler consequently sought talks with unions and employees and a temporary extension of working hours was agreed on. “Swiss Champions are characterized by their often manageable size and personal atmosphere, and a high level of identification of employees with the company”, says Kühnis. To achieve this, organisational structures must be flat and communication channels short. Employees are deliberately granted a higher degree of freedom and thus identify more with the company. Employees are particularly attached to their company if management also pitches in. Then SMEs can count on sympathy and commitment from their staff in times of crisis. Of course appreciation must already be a part of the corporate culture before the crisis. “Despite two monetary shocks, we managed to retain the jobs in Switzerland, and even to increase our staff”, says Spuhler. differentiation in the product and manufacturing strategy, by increasingly relocating production of simple diesel railcars to Poland and manufacturing high-tech trains in Switzerland, we were able to improve our competitiveness”, the owner of Stadler Rail adds. Of course every CEO knows that strategies don't always work out as planned. The question is how management reacts to unplanned developments. The currency crisis in Switzerland but also the rouble crisis in the CIS countries forced Stadler to realign their strategy last year. Sales activities shifted from Russia to new markets like the US, the UK, and Australia. Probably the most significant event was the acquisition of Vossloh's locomotive business Rail vehicles in Valencia. 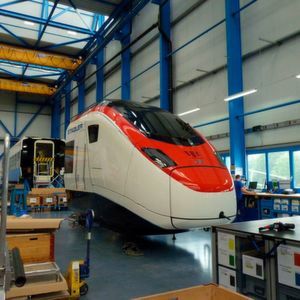 The Spanish locomotive manufacturer has approximately 850 employees - with this acquisition, the total number of employees of the Swiss SME has risen to almost 7,000. This means that now more people work for the company abroad than in Switzerland. With the acquisition of the plant in Spain, Stadler Rail secured the new market segment of diesel-electric locomotives and opened up new markets on the Iberian Peninsula, in Central and South America, and in North Africa. All this helps to cushion the negative impact of the strong franc.